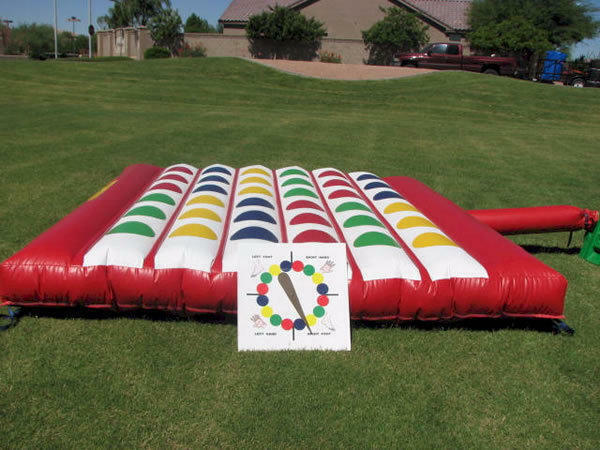 This classic Twister Game with "no" side walls is perfect for any occasion. See which color to place your hand/feet and get all tangled up in the fun. This version is better because its an inflatable one and when you fall its softer! Appox 4-6 users at a time. Note: due to the non-return of the spinner dial we recommend that the customer download a spinner app on their smart phone.